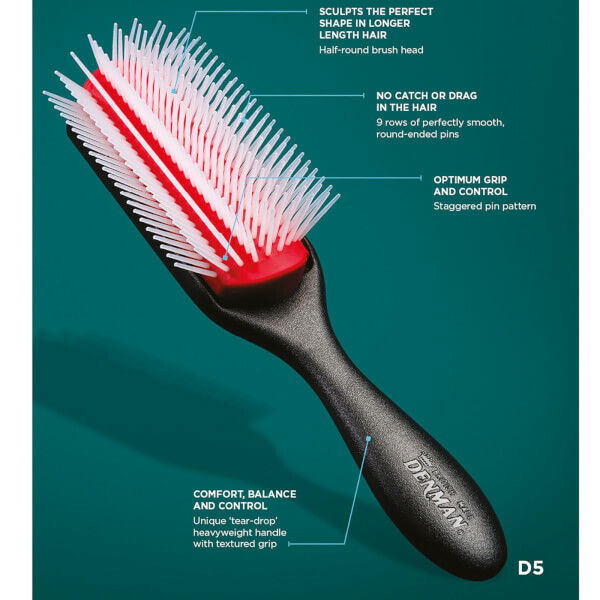 The Denman D5 Extra Large Styling Brush uses its increased weight to expertly sculpt and shape locks during blow-drying and styling to deliver visible root lift. 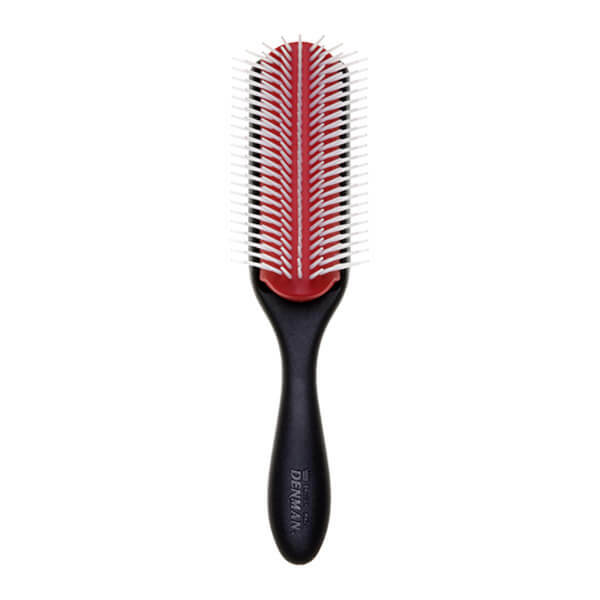 With nine rows of staggered nylon pins to create natural-looking volume and movement, the hairbrush boasts a textured handle for improved grip and control. Ideal for detangling thick hair and gently separating curls, the brush helps you to create soft, smooth and salon-worthy results. Wash in warm, soapy water. Rinse and leave to dry away from direct heat and sunlight. Remove loose hair with a comb. Can be used with a hair-dryer.